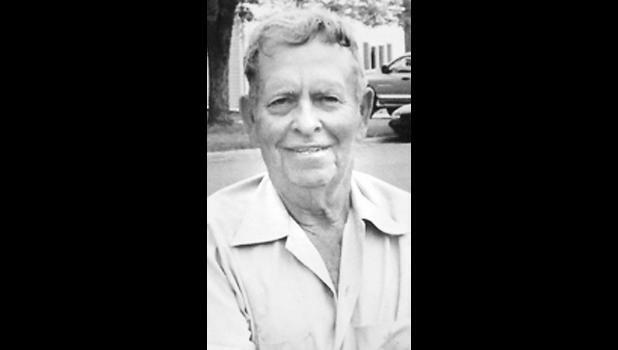 Billy G. “Bill” Wilson, 89, of Circleville, passed away Friday, April 20, 2018, at his home. He was born Oct. 6, 1928, in Neosho, Mo., the son of Dallas and Edith Watson Wilson. Bill began his schooling at Hopewell Rural School in Atchison. The family moved to the Carmel Neighborhood, where he finished his rural schooling. Bill then graduated from Holton High School in 1946. Bill began his military services in February of 1951, taking his basic training as well as his radio and cryptography schooling at Camp Chaffee, Arkansas. Upon graduating he was sent to VWT Hills Farm Station, near Washington D.C., for further training in the Army Security Agency. He would then deploy to Korea on Nov. 5, where he would spend the next 15 months. He spent the final three months doing security duty near the Peace Village at Panmunjom, on the border of North and South Korea. Bill was a farmer and stockman for most of his life. He enjoyed participating in sports, in addition to playing an impressive number of musical instruments. He was a member of the VFW, the First Baptist Church and the Banner Grange until it was dissolved. Bill was survived by three nephews, Gary Wilson (Brenda) of Holton, Keith Wilson (Rosanna) of Circleville and Daryl Wilson (Della Wrightsman) of Netawaka; nine great-nieces and nephews; 15 great-great nieces and nephews; and two great-great-great-nephews. He was preceded in death by his brother, Duane Wilson; and a sister-in-law, Mona Wilson. Funeral services will be held at 2 p.m. Wednesday, April 25 at Mercer Funeral Home in Holton. Burial with military honors will follow in Holton Cemetery. Family will greet friends one hour prior to service time.